New Delhi: A year after implementation of the nationwide goods and services tax (GST), the organized used or pre-owned car sales market has started to recover albeit at a slow pace as the taxes imposed on such vehicles are still higher compared with the pre-GST era despite a recent revision. When the federal government rolled out GST, taxes imposed on the margin of a used car retailer was equal to that of a new car—28% GST plus cess depending on the length of the vehicle and its engine. According to senior industry executives, used car sales suffered after GST but have begun to rebound from the first quarter of this financial year, mainly due to the lower base of the year-earlier period. 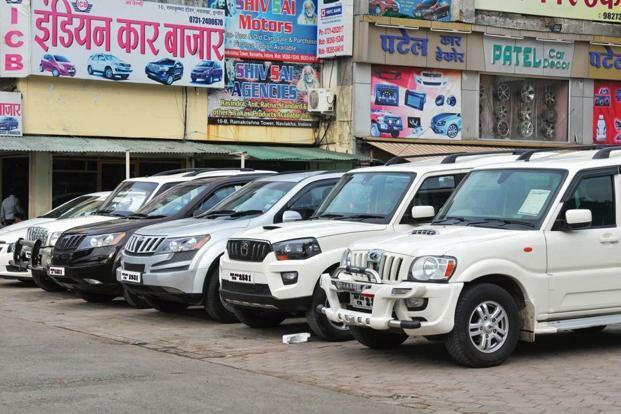 The pre-owned car market has remained subdued since November 2016 when the government demonetized high-value currency notes as most such transactions were made in cash. Mahindra First Choice Wheels, one of the largest organized used car retailers in the domestic market, said its sales volume jumped more than 25% in April to June with more than 100,000 vehicles sold through the wholesale and retail channels. The firm didn’t disclose its sales performance during the last financial year in response to an emailed query by Mint. Ashutosh Pandey, chief executive, Mahindra First Choice, said the firm is growing its revenue 70% each year. “The industry got a relief when the GST Council notified in January 2018 that the cess on used cars is abolished and the tax rate was brought down to 12% or 18% depending on vehicle size. These rates are still higher than the earlier VAT regime, and therefore while not strictly a barrier, there is still a scope for rationalization,” said Pandey. Maruti True Value, the country’s biggest used-car retailer, did not disclose its financial performance as the company is in silent period ahead of its quarterly results due on 26 July. According to R. S. Kalsi, senior executive director, sales and marketing, Maruti Suzuki India Ltd, the used car market was adversely impacted when GST came into force as used cars were placed in the same tax slab as that of new cars. This amounted to double taxation of vehicles since a buyer has already paid tax on the vehicle when it was first purchased. “The GST Council took a decision to bring down the taxes which has been beneficial for the organized used car retailers. In the first quarter, we have seen increase in our total car sales from our True Value outlets which have been revamped last year,” said Kalsi. Two senior executives at Maruti, who didn’t wish to be named, said demand for used cars crimped in the past year because of higher taxes. The local unit of Japan’s Suzuki Motor Corp. had last year announced plans to open 150 True Value showrooms, and double the figure by 2020. The pre-owned car market is approximately 1.2 times the size of the new car market. Based on the number of cars sold, True Value will be India’s third largest car retailer after Maruti and Hyundai Motor India Ltd.